Anyone familiar with the name EINSTOFFEN knows that for the Swiss brand routine was never an option – since the founding of its fashion label in 2012, the four friends from Eastern Switzerland have always been on the look out for new challenges. Now that the name EINSTOFFEN has established itself on the European optical market in the natural materials segment, it was time to fulfill a long time dream. The dream to create a product that combines traditional craftsmanship with something uniquely Swiss – a timepiece. In the future, EINSTOFFEN will not only stand for fashion and glasses, but also for modern watches – almost a must for Swiss people! The new timepiece was all about manufacturing ta product combining the natural identity of EINSTOFFEN with Swiss precision mechanics. But it also had to match with the fashion items and of course the glasses. 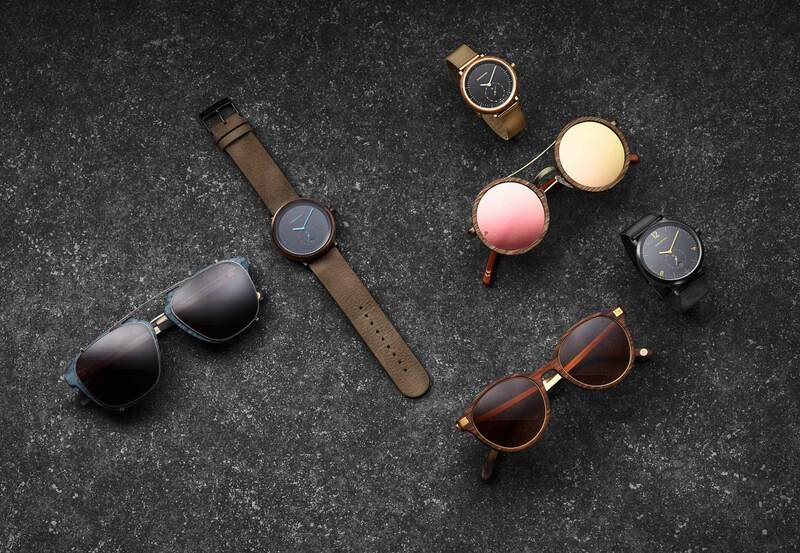 It is no coincidence that the “Swiss Made” watch models in our photographic presentation fit so well with the glasses. There is a superordinate design guideline. Watches today are often crammed full with technical paraphernalia that no one really needs. Thus, the design of these “EINSTOFFEN Watches” is rather spartan. It is precisely the simple, functional look that provides a view for sophisticated details such as the specially designed date display on the 6 o’clock position or the embedded belt lugs on our wooden watches. A «EINSTOFFEN WATCHES» is a statement for people who take time for the beautiful things in life without asking for permission. You can pre-order these EINSTOFFEN WATCHES exclusively on Kickstarter! Style-oriented buyers can make use of the 40% Early Bird-discount on the future retail prices until November 24th.The Early Bird-orders will even be delivered before Christmas!